Some large images are difficult for learners to view in the courseware. The full screen image tool allows learners to enlarge the image, so they can see all the detail in context. The learner sees the full screen image in a unit page. 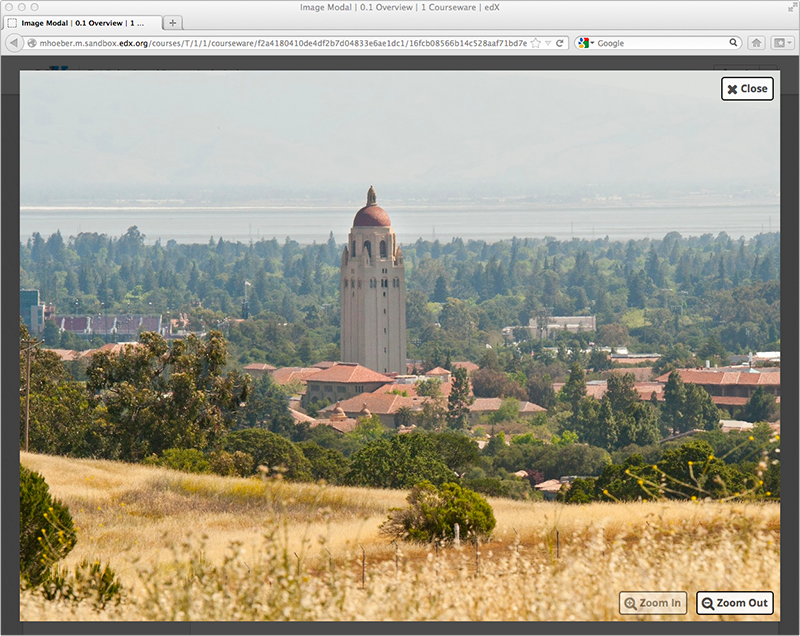 When the learner moves the cursor over the image, the Fullscreen option appears. 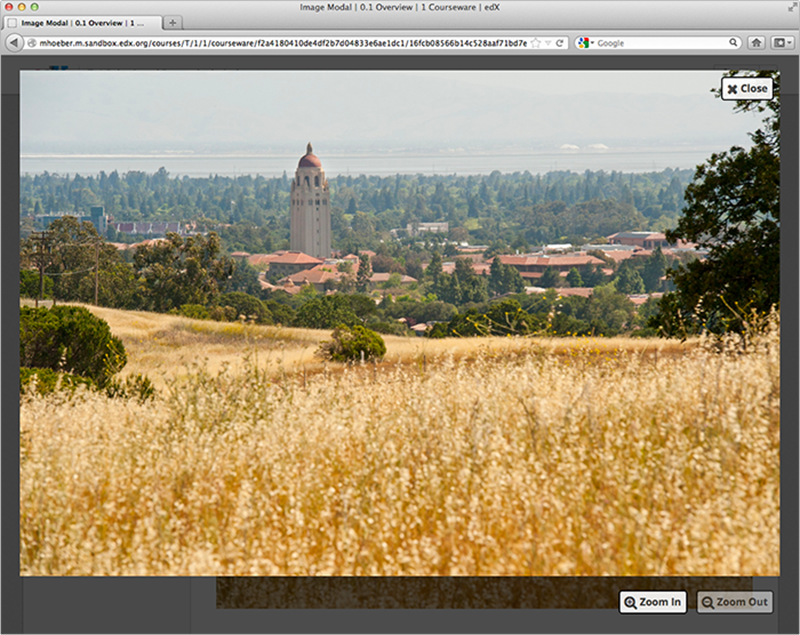 When the learner selects Fullscreen, the image opens and expands in the full browser window. Close, Zoom In, and Zoom Out options appear. The learner can then zoom in on the image, and drag the image to view a specific part of it. Upload your image file to the Files & Uploads page. For more information, see Adding Files to a Course. 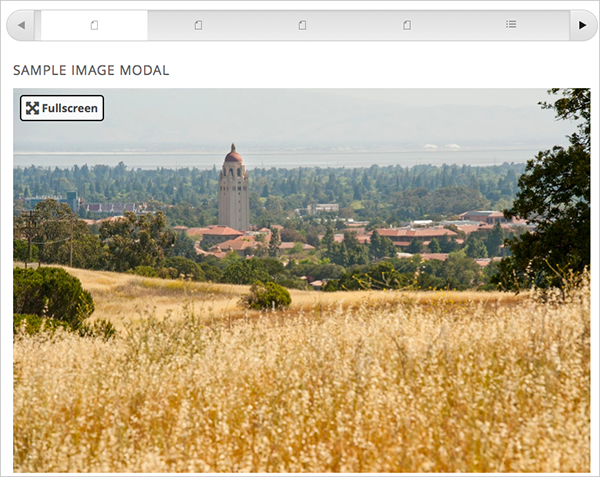 Under Add New Component, select HTML, and then select Full Screen Image Tool. In the component editor, replace the default title, remove the instructional paragraph, and add text as needed. Ensure that the value of the href and src attributes are the same, and that you do not change the class attribute. Your sample code should look like the following example. You can use this same HTML code in any HTML component, not just those components you created as full screen images.